Buses to Heuston Station (8 minutes walk via Military Rd): 145, 79 and 79a from Aston Quay. Buses to James St (8 minutes walk via steps to Bow Lane onto Irwin St and Military Rd): 13, 40, 123 from O’Connell St and Dame St. Working between the personnel and kinetic, artist Aideen Barry presents a live performative film that invites the public to experience contested spaces of the domestic, studio and gallery as it relates to ideas of obsession, claustrophobia, and femininity in both artists’ practice. 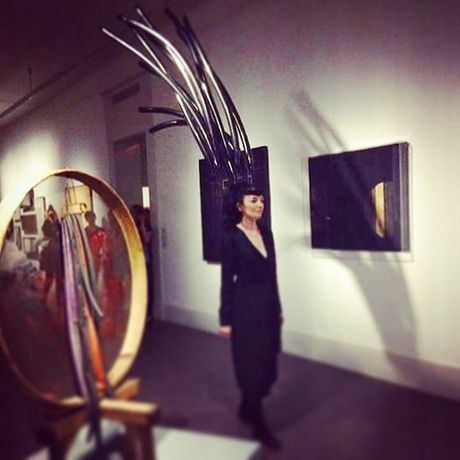 For one night only, join the artist Aideen Barry for a late gallery opening and intimate viewing of the Carol Rama exhibition. Watch unfold a playful exploration of objects, materials, live performance, word and a series of in-situ fictious films that animates the uncanny, surreal and macabre in the galleries. 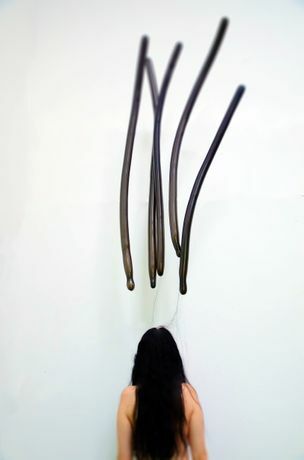 By Association aims to empower the viewer to make their own physical connections and set of relations through both artists’ experimental use of alternative materials and representations of the body. Across the modern to the contemporary, Barry’s imaginative gesture acts as a continuum in making the art of Rama live.